In just 10 seconds, its star became 1,000 times brighter. In 2016, when scientists confirmed the discovery of Proxima b, a potentially habitable, Earth-sized planet orbiting the star Proxima Centauri, it was cause for astrobiological celebration. Proxima Centauri is the nearest star to our solar system — just 4.24 light-years away — so, in the search for extraterrestrial life, we’d found a promising candidate in our cosmic backyard. Now, new information casts doubt on the exoplanet’s life-hosting potential, not to mention our plans to investigate it. Based on observations from the Atacama Large Millimeter/submillimeter Array (ALMA), scientists recently found that Proxima Centauri emitted an exceptionally powerful solar flare in March 2017. 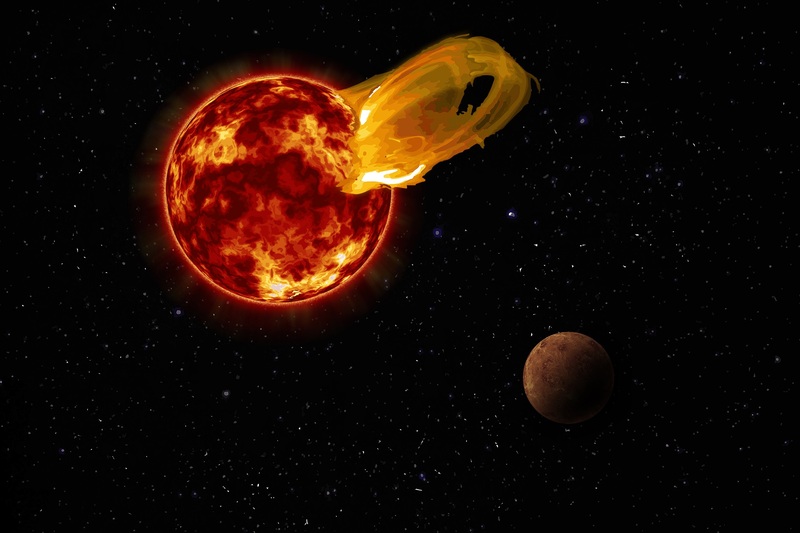 If life ever did exist on Proxima b, this violent flare, which was 10 times brighter than our Sun’s largest flares, may have wiped it out. “March 24, 2017, was no ordinary day for Proxima Cen,” said Meredith MacGregor, an astronomer from the Carnegie Institution for Science, in a National Radio Astronomy Observatory press release. MacGregor’s team found that the flare made Proxima Centauri 1,000 times brighter over the course of just 10 seconds. Though the entire event (including a smaller preceding flare) lasted less than two minutes, it bathed little Proxima b with an estimated 4,000 times more radiation than Earth receives from the Sun’s usual flares. That’s not great news for anything that might have been alive on the exoplanet’s surface. We already have powerful telescopes in development that promise to give us a closer look at Proxima b, and missions designed to help us determine if it hosts life. Even if we find out the exoplanet it uninhabitable, that knowledge could inform our search for life on planets beyond the Centauri system. Small dwarf stars like Proxima Centauri are the most common type in our galaxy, and we’ve already found planets in the habitable zones around several. 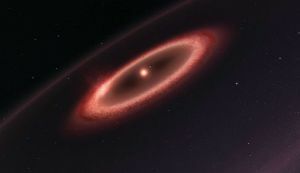 But given that dwarf stars are prone to violent fits, like Proxima Centauri’s most recent episode, any life on the surfaces of these planets would need to be esheltered from — or hardened against — some intense solar radiation. It’s Official: Extragalactic Planets Are Real. So What the Hell’s on Them?